Can’t you feel that Final Four buzz in North Carolina? Not. For the second straight year, no college basketball team from our state graces the Final Four. Before that, Duke (in 2015) and Carolina (2016 and ’17) were there and all three advanced to play on Monday night, each winning once. It’s only half the local four-year drought that went from 2011 to 2014, but it certainly seems as empty. Most ACC fans will be rooting for Virginia to win its first-ever NCAA basketball championship, but with a Midwest team, a Deep South team and a Southwest team filling out the field, it doesn’t feel quite normal around here. Historically, we are used to being engaged on the last weekend of the season. Carolina and Duke have combined to reach 35 Final Fours in the last 62 years – well more than half of them. Add N.C. State’s two in 1974 and ’83, Wake Forest in 1962 and UNC Charlotte in 1977, that makes 39 times since the ACC began in 1954 that the Tar Heel state has been so blessed. So it feels kind of weird and understandably so. Strangely, the longest stretch without a Final Four team we can call our own since the early 1960s was that four-year period in this decade. We were coming off two appearances by UNC in 2008 and ’09, followed by Duke’s 2010 title, and both programs remained loaded or were quickly rebuilding. Yet with names like Kyle Singler, Nolan Smith, Kyrie Irving, Harrison Barnes, John Henson, and Jabari Parker, both whiffed for four years straight. Carolina lost twice in the Elite Eight and Duke once, but we all sat home and watched UConn bookend Kentucky and Louisville to win those four national championships. While the ACC still clams to have the best basketball league, the Big Ten and Southeastern conferences can make similar claims by the numbers of teams they have had invited to the NCAA tourney and their recent representatives on semifinal Saturday and final Madness Monday. 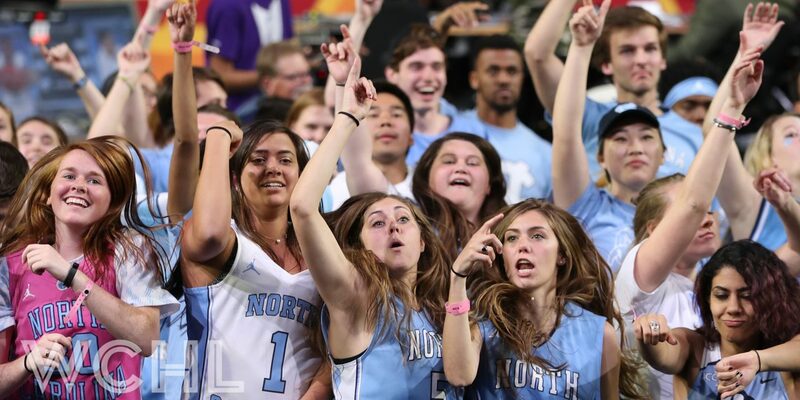 We can point toward next season, but right now it looks as likely that the Tar Heel State will miss again as it will regain its rightful place at the party.